Lately, I’ve been thinking about Africa. Specifically, American Christian ministry in Africa. A couple from my church, Mickey and Jackie Bailey, founded an orphanage in Zambia several years ago and now have added a school. They’re asking for donations for books, used or new, for pre-school through seventh grade students. In English, the language the children are learning in. Yesterday’s Rocky Mount Telegram featured a story about their mission. Click here to read about the difference they’re undoubtedly making in the lives of these Zambian children, and consequently, the future of this impoverished country. http://www.rockymounttelegram.com/News/2018/06/10/Couple-educates-African-kids.html Wow, just wow. In July, I’ll attend a writer’s retreat led by author Elaine Neil Orr, who grew up in Nigeria. Her parents were medical missionaries, and—get this—the family remained in Nigeria during its civil war. 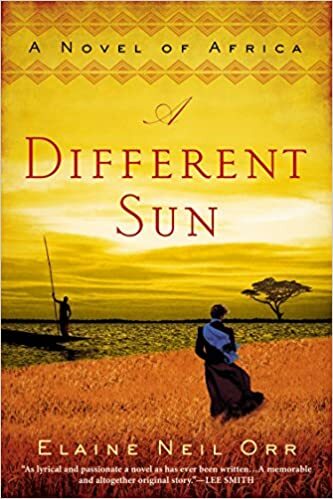 I’ve just finished reading one of her books titled A Different Sun, which is a fictional account of a Baptist missionary couple, Emma and Henry Bowman, who set off to minister to the Yoruba people of Africa. It’s 1853, and the wife is the daughter of a prosperous slave owner. The husband, twenty years older, is a former Texas Ranger w ho’s lived a wild and ungodly life before hearing his call to the ministry. Both books explore the culture shock and misunderstandings between the missionaries and those they’ve come to help. And both examine the gradual adaptation of the missionaries as they learn about and adjust to the differences of their new home. A Different Sun is a totally engrossing read. 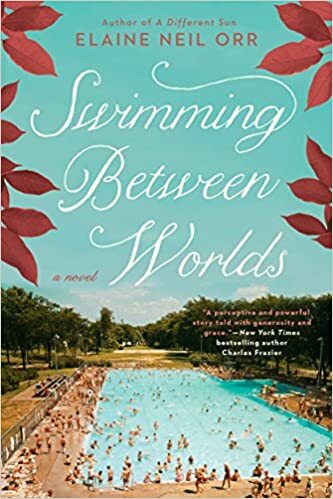 Elaine Neil Orr has also written Swimming Between Worlds, which I read first and endorsed on my Author Facebook page. 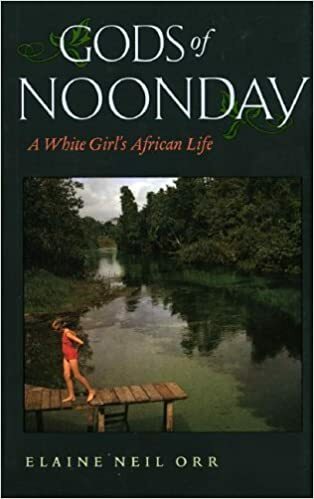 Her third novel, which I plan to order today, is called Gods of Noonday: A White Girl’s African Life. It’s labeled a memoir, so maybe I’ll find out how the author fared during the Nigerian civil war.